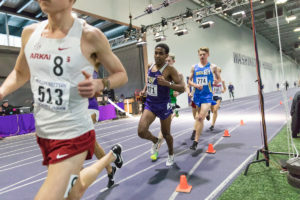 Gamito Diaz, like many of her peers at the University of Washington, isn’t sure yet what she’s going to major in. She’s considering business, but the UW freshman from Des Moines still has time to make her decision. But unlike many of her peers, Diaz is an undocumented immigrant. Her status means she has never received any federal financial aid to help pay for school. Now that is about to change. On Feb. 26, Gov. 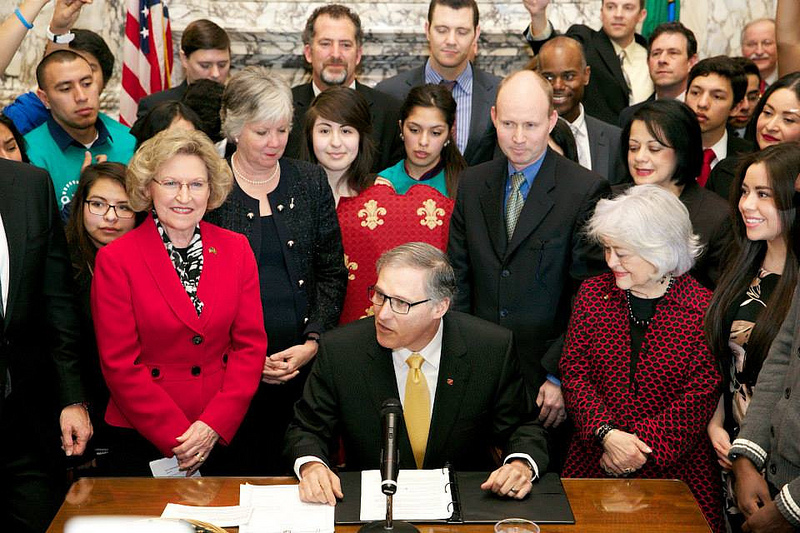 Jay Inslee signed the REAL Hope Act (the Washington State Senate’s version of the Dream Act) into law, making Washington the fourth state to allow qualified undocumented students to apply for federal student aid. It also adds $5 million to the state need grant and is set to take effect this June. 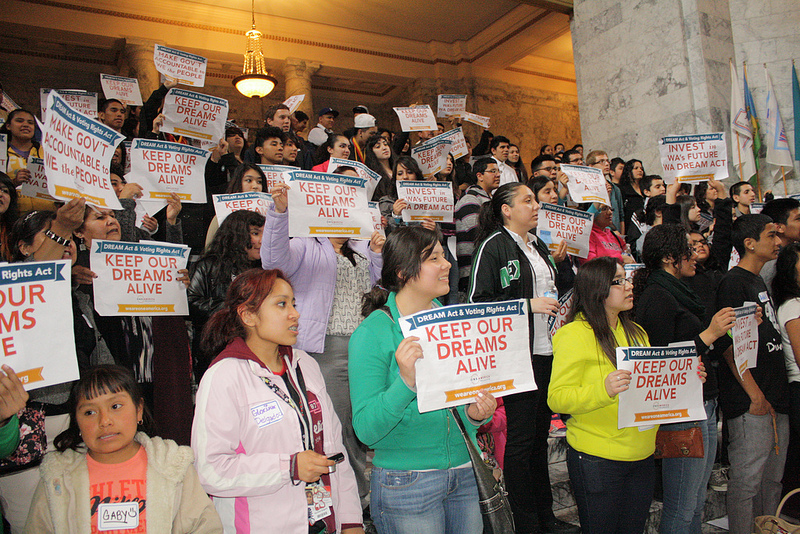 The passing of the REAL Hope Act comes at a time when Washington state is home to an estimated undocumented immigrant population of around 230,000, representing five percent of the state’s workforce. As an undocumented student, Diaz is able to attend college because of a bill passed in 2003 which makes qualified undocumented students eligible to pay Washington college tuition at the in-state rate. However, the lack of true financial aid has made it difficult for Diaz to make ends meet. She currently balances two jobs along with her schooling. The struggle inspired Diaz to become a youth leader for OneAmerica, an immigrant advocacy organization, to advocate for a version of the DREAM Act to be passed in Washington State. There she met Miriam Preto-Vital, a high school junior from Burien, Washington, who faces a similar situation as an undocumented student. “The DREAM Act [passing] has greatly impacted me. Now I’m able to have 100% motivation that I will go to college because money won’t be a barrier anymore,” said Preto-Vital. She’s currently interested in studying Criminal Justice at Eastern Washington University. Despite the Dream Act’s recent success in Olympia, more than half of all U.S. states do not have legislation anything like the Dream Act. Indiana, Georgia and Arizona prohibit undocumented students from paying in-state tuition. Alabama and South Carolina ban undocumented students from enrolling in public institutions altogether. Despite little progress of the DREAM Act on a national scale, both Diaz and Preto-Vital find solace in the fact that their efforts have made education for themselves and other Washington State undocumented students within reach. “I’ll finally be able to have the satisfaction that I’ve made my parents’ sacrifice worth it,” said Preto-Vital. Tags: college, Immigration, OneAmerica, university, UW, WA Dream Act. Alexander Tran is an undergraduate student at the University of Washington studying journalism and political science. He is working towards becoming a Public Affairs Officer in the United States Air Force.